My last meal in Thailand was a Dairy Queen blizzard in solidarity with Boston peeps digging out. And because foolishly I thought we’d have more food options at the airport! But alas..our last Thai meal will likely be in Cambodia or New Zealand instead. 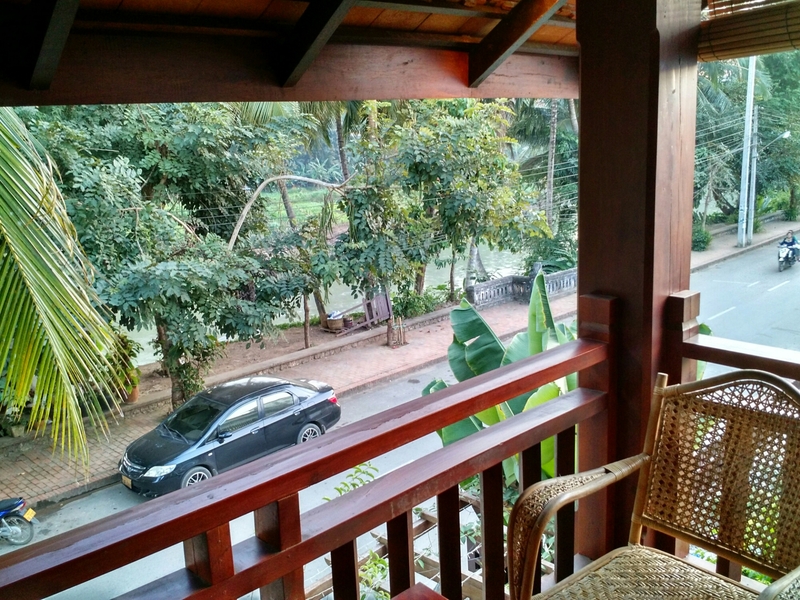 We wished we’d arrived in Chiang Dao earlier or been able to stay longer. It was a sleepy town with beautiful town with many trails to explore, yummy places to eat and breathing was easy. I can understand how a wandering monk ceased wandering and planter roots here. A hop, skip and a jump and we were in Laos. The prospect excited and scared me as it meant time had tricked me again, and rather then moving slowly as it felt, weeks had flown by. Luang Prabang in Laos is a UNESCO world heritage site. This moniker comes with the recognition of being significant (here to architecture and religious history) and also getting some preservation funds. It also means there is finally no Starbucks. Laos is also one of five communist countries left, but I think there’s less funds that go with that status. Luang Prabang is a scenic town in the hills, filled with temples and tourists and a slower pace. Yet it comes at a higher price, with accommodation twice what we’ve paid in our last two stops. 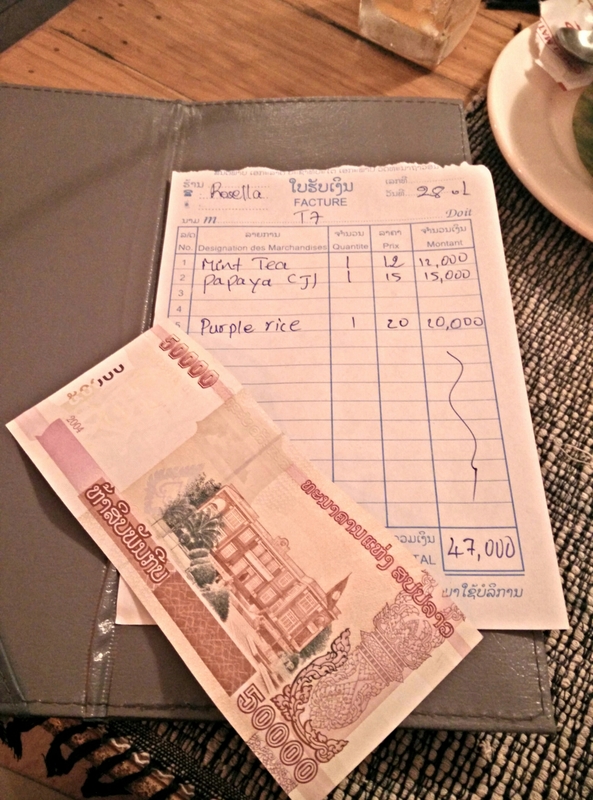 Maybe it feels more expensive because the smallest note in Laos Kip is 1000 which is $0.12. Dropping a couple grand is just another day here. To orient ourselves, we went for a walk by the small river and enjoyed sunset and the kids playing soccer on the banks. We felt we erred in Thailand by eating Thai food nonstop for three weeks, so to mend our ways we set out for pizza out first night in Laos. Easy to find, once you traversed a questionable bamboo bridge. 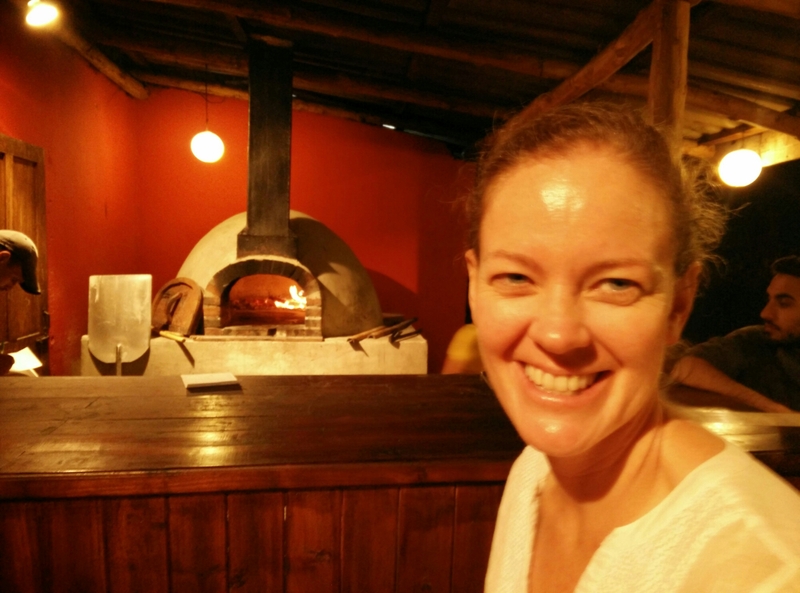 We inhaled our pizza, while our Lao neighbors had extra chili sauce and three slices to take home. A good start to our brief stint in Laos. Looking out the window at work, I think it’s time for you to find another Dairy Queen to show your support and solidarity for us.